We’ve done the hard work for you (yes, ice cream tasting is more difficult than you think) and have tested all the ice cream in Downtown Annapolis so you can go enjoy some for yourself! Here are our top picks! 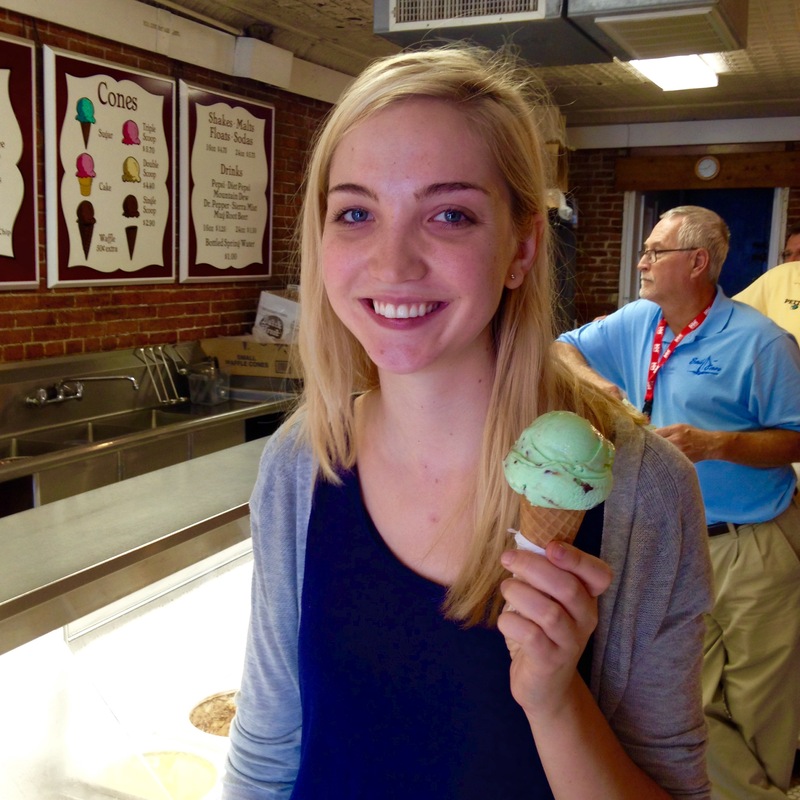 An Annapolis classic, Kilwins is a favorite of St. John’s students. They also sell chocolates and candy in addition to ice cream. The employees are always friendly (some are alums) and they even give a Johnnie discount! Even with the discount, Kilwins does tends to be a bit pricey ($7.00 for two baby scoops) however, it is very delicious and the scoops are huge! Alice (Mint Chocolate Chip): I like the green-ness of Kilwins Mint Chocolate Chip. The flavor is slightly spearmint-y which is very refreshing. The ice cream is very smooth and creamy! Cons: The chocolate chips are a little too large for my taste. This Mint Chocolate Chip does taste a little more processed than the other two stops. Brian (Strawberry): The strawberry flavor from Kilwins has more chunk to it. It’s definitely more fruity than both Storm Bros. The consistency is matched well with the creaminess. Comparatively to the other stores in Annapolis, the strawberry at Kilwins is sweeter and a little more citric (probably owing to the larger fruit chunks). Cons: The sweetness is a little much for me, just a little though. Had it been less sweet, it would’ve been perfect. 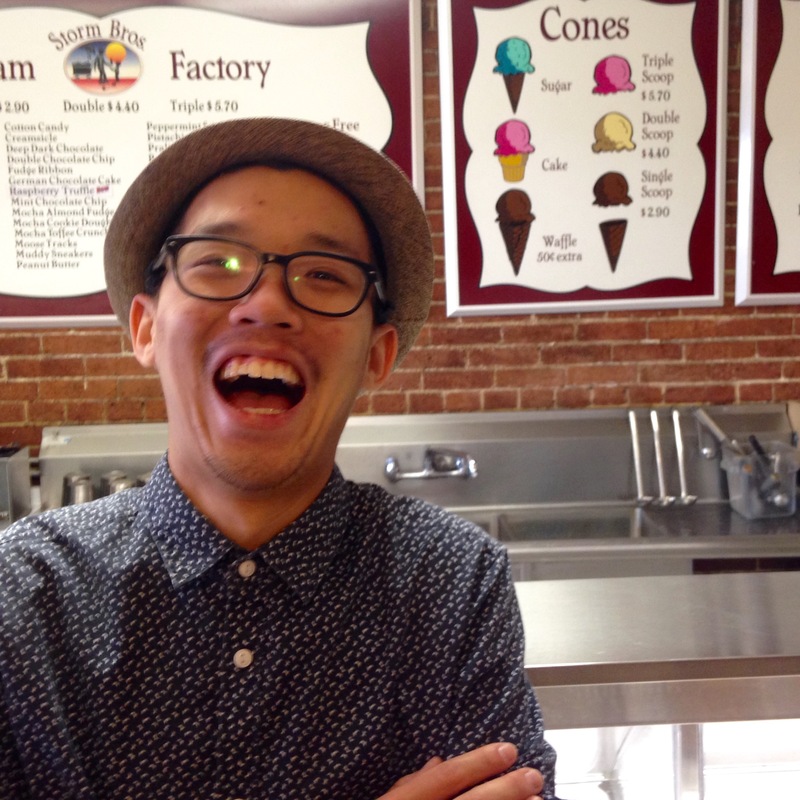 This ice cream shop has a family, hometown vibe and a great selection of ice cream. The prices are also really reasonable ($5.80 for two scoops). Storm Bros. does get really crowded, sometimes with a line out the door. Alice (Mint Chocolate Chip): Pros: Really creamy and smooth. Like really really creamy and smooth. The chocolate chips are nice and small so you get some in every bite. Classic mint flavor and a nice large scoop! Cons: The mint flavor is a bit mild in comparison to the other two stops, but I happen to think that is because they don’t add much extra flavoring. Brian (Strawberry): The Storm bros Strawberry was the most mild among all the other brands. It’s cream taste was very pleasant, and it wasn’t too strawberry or too sweet. A very inoffensive strawberry. Cons: The flavor, because of its mildness, can be quite dull for the radical ice-cream taster. 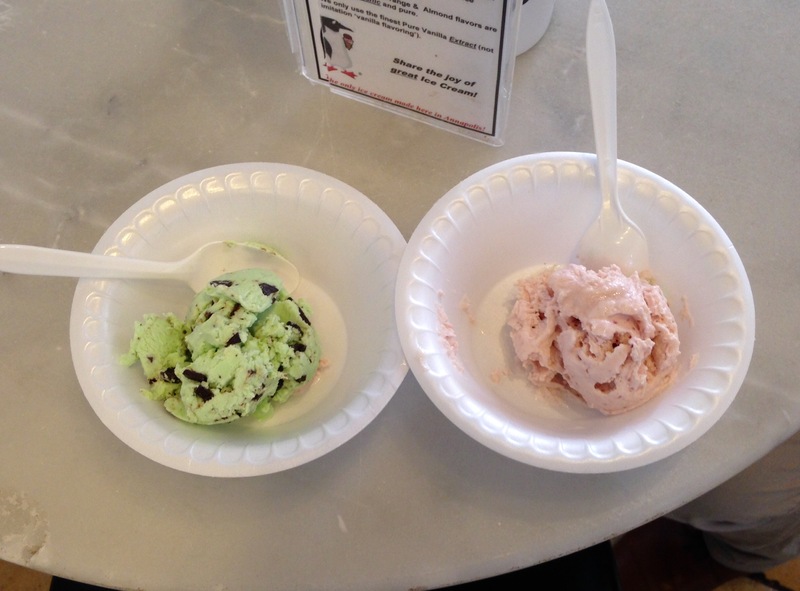 The Annapolis Ice Cream Company opened in 2004 and has been voted best in Annapolis for 11 years. A small scoops is $3.95 and they have the option to get two half scoops for the price of one so you can mix and match flavors! Alice (Mint Chocolate Chip): Pros: This ice cream tastes real deal. All I taste is nice natural mint flavor. Cons: The ice cream is a little thicker than I like (I couldn’t scoop into right away). The chocolate chips are also a little large for my taste. Brian (Strawberry): In terms of the balance between taste and creaminess, the strawberry from 196 Main Street was the best. The cream and strawberry were both equally felt and both in good combination. Its consistency, out of all three of the companies, is the most thick. Cons: It would really depend on your preference for thickness of ice-cream. It’s quite thick, and has the consistency more like the consistency of gelato. I personally like it. Alice: STORM BROS totally wins it for me. I like the neighborhood ice cream store atmosphere and you can’t beat good ice cream in large portions for a great price. It is open late which is totally plus and I like to go for a walk along the docks while I enjoy my ice cream. The creamy richness is unbeatable, however the chocolate chip to ice cream ratio is really what sold me on this one. 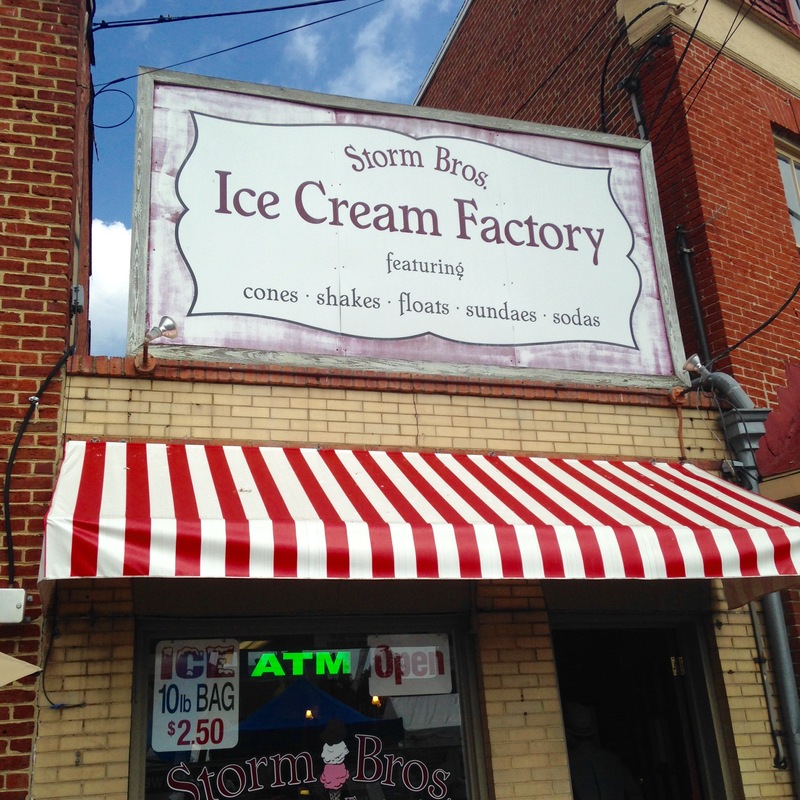 Brian: I can be unreasonably biased for local business, and even though Storm Bros is also a local business here in Annapolis, the Annapolis Ice cream Company wins it for me. Their ice cream is a balanced blend of the mildness of Storm Bros, but also the striking flavor of Kilwins. Their strawberry flavor has the fruitiness that I’m looking for in a fruit flavored ice cream but I am also a fan of its thickness. I like my ice cream like gelatos.